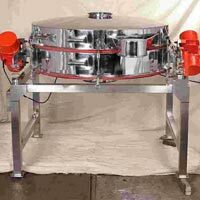 We as a Manufacturer and Supplier of Central Discharge Vibro Screen take pride in being the one stop destination in market. It is fit for use for various purposes across the industries. It is sturdy and durable as it is made of first-rate raw material. For our customers, we make it available in different sizes to match their demands. Get the impeccable quality on offer delivered at your doorstep. Central Discharge Vibro Screen - Looking to In-Line Packing process or material Flowing Through between nos. of equipment. 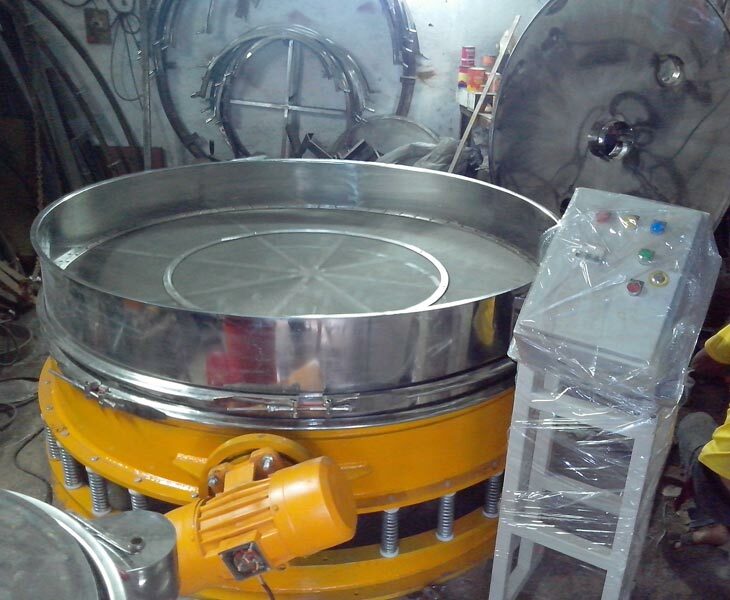 Here production does not allow screening separately for this purpose Nishi Techno Sys modified discharge of standard vibro screen. 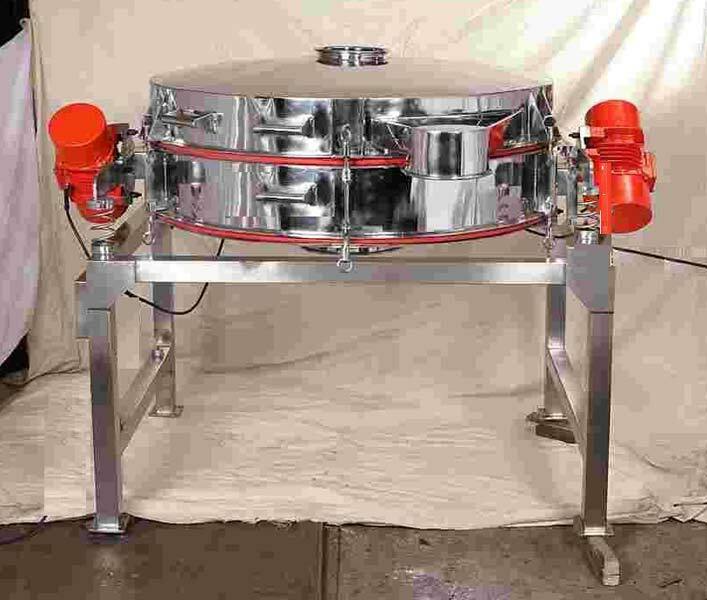 Central Discharge Separator is having 2 Vibratory motors mounted either side of mesh Frame. Discharge of screening material getting from bottom. 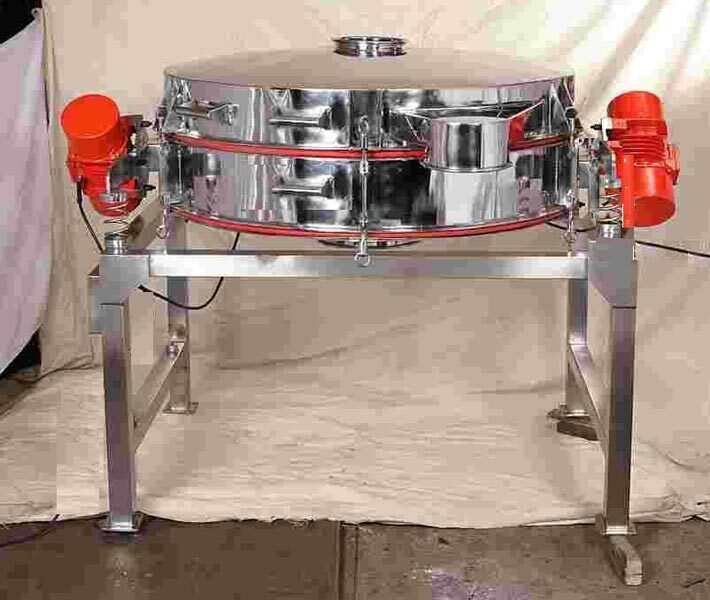 Advantage of this screening machine is direct vibration closer to mesh frame hence for more cycles per unit area, which helps 25% more productivity than standard vibratory screen also lesser chances of mesh clogging. 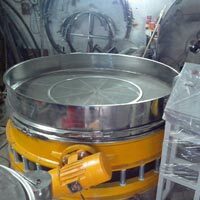 Cross Flow Separator useful in Food Industry, Chemical Industry and Pharmaceutical Industry. You can also install this screen above SILOs, Hopper, or you can directly pack solid screened material in to bags.